Al Coates - Adoption:Fostering:SocialWork: It's not personal. Behavior or treatment in which physical force is exerted for the purpose of causing damage or injury. Intense force or great power, as in natural phenomena. Distortion of meaning or intent. With the Adoption Social's week of focus on Child to Parent Violence #CPV I've been mulling over my own thoughts and experiences. I often unpick events in minute detail trying to fathom what's happened, what was said, what set us on a path to an incidence of violence. Sometimes I can see plainly and sometimes it's veiled by my lack of insight or understanding. But really what I'd like to say is how it feels for me. All the books I read and the professionals I speak to. All the still voices of reason and voices of friends and family tell me the same thing. After we've had a 'incident', when the dust has settled, reconciliation is made and the delicate peace that we live in is restored. Then, I know it’s not personal. I know the violence is born of inexpressible fear and anxiety at the loss of control. I know it's the overflow of emotion that cannot be stemmed. I know it's and the inability to moderate and reason alI routed in a distant experience but bearing fruit in my today. I know it's not personal. 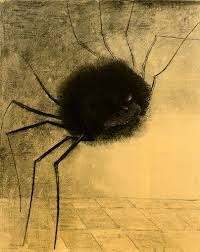 When spiders of disassociated fear, anxiety and pain creep closer to my child she lashes out to keep them at bay. But in truth it often feels it. It's my body that gets hurt and it's me that is insulted. I sometimes wonder if I'm slowly being eroded by the force of this violent wind. This is the paragraph at the end where I tie it up nicely, with a warm sentiment and tell of how love overcomes and parents do what they have to do cos that what we do. But I'm not going to patronise you today. Fear not, I will keep on and I will refuse to take it personally. Seventy-five years ago my church pastor's dad was dug into the beach at Dunkirk. He was a radio operator and one of the last to leave. He endured days of bombs, shells and bullets. Luckily he survived. It wasn't until late in his life that he told his children of his experiences and they could suddenly understand why he never took them to the beach. Thing is, the bombs, shells and bullets weren't personal. No one was trying to kill him specifically. But it still affected him for the rest of his life. Look after yourself, adoptive dad. Thank you. I try to guard my heart.